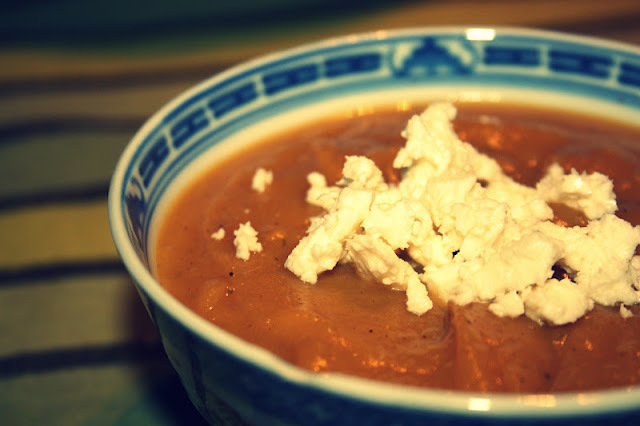 Nothing's more delicious than a bowl of soup in winter, so I decided to make some butternut soup. I'm actually a bit embarrassed to put this recipe up because it's so incredibly easy but here it is anyway. Enjoy! Fry the onions until soft. Add the curry powder and fry for 3 minutes. Add the butternut and vegetable stock. Allow to simmer until soft (this depends on the size of your butternut pieces- the smaller they are, the quicker they will soften). Add the cinnamon and blend until smooth.